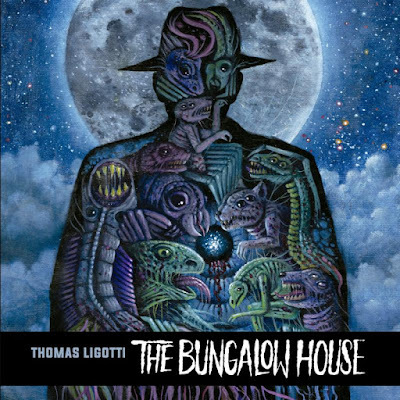 Spoken arts label Cadabra Records presents another tale of weird fiction, with Thomas Ligotti's "The Bungalow House." Produced on deluxe LP, the story is here narrated by Jon Padgett, and the album scored by Chris Bozzone. The label has partnered with horror portal Dread Central to issue a new audio sample as the album nears release in May. With their new sample of the B-side of The Bungalow House LP, Dread Central offers in part, "Cadabra aims, and achieves, to ensure that every record that comes from their label is an experience that will leaves listeners entranced and shaken to their core." 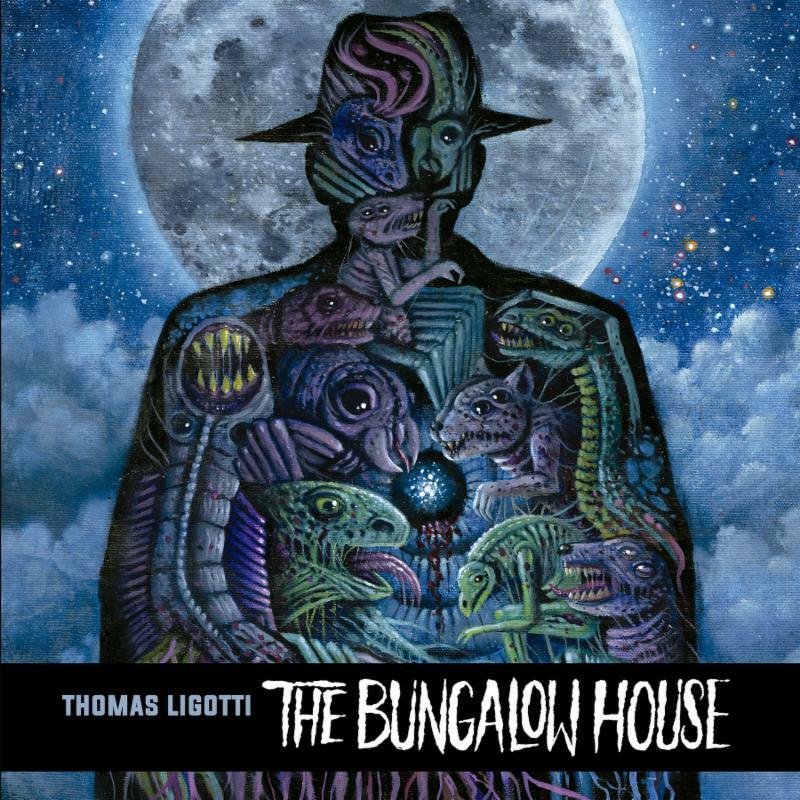 Experience the audio sample of Thomas Ligotti's The Bungalow House at Dread Central. Stream the previously-released A-side sample at Modern Vinyl. Cadabra Records will release "The Bungalow House" in a limited first edition of 500 copies pressed on color 150-gram blue and black swirl vinyl and is housed in a deluxe heavyweight tip-on jacket and a hand-numbered fold-over sleeve. The record includes a 12-page booklet with an extensive essay by author Matt Cardin, a new interview with Ligotti, and an 18"x 24" promotional poster showcasing the newly commissioned art by Jason Barnett. The Bungalow House will see release on May 11, preorders can be found cadabra-records.myshopify.com. Thomas Ligotti (b. 1953) is an American author who is widely considered to be one of the most important living writers of horror fiction. Ligotti work is characterized by a distinctively bleak and dark philosophical vision, pitching over into outright nihilism, that remains strikingly original even as it draws on a rich set of literary influences that includes the likes of H. P. Lovecraft, Edgar Allan Poe, Bruno Schulz, William Burroughs, E. M. Cioran, and Vladimir Nabokov. His short fiction collections include Songs Of A Dead Dreamer, Grimscribe, Noctuary, The Nightmare Factory, and Teatro Grottesco. He is also the author of the short novel My Work Is Not Yet Done and the nonfiction work The Conspiracy Against The Human Race. He has won multiple Bram Stoker Awards, British Fantasy Awards, and World Fantasy Awards. In 2015 Songs Of A Dead Dreamer and Grimscribe were published in a single-volume Penguin Classics edition, making Ligotti one of ten living authors to be included in that distinguished series. Jon Padgett is a professional-though lapsed-ventriloquist who lives in New Orleans. He is the co-editor-in-chief of Vastarien, a source of critical study and creative response to the work of Thomas Ligotti. Padgett's first short story collection, The Secret of Ventriloquism, was named the Best Fiction Book of the Year by Rue Morgue Magazine. He has work out or forthcoming in Weird Fiction Review, PseudoPod, Lovecraft eZine, Xnoybis, and the anthologies A Walk On The Weird Side, Wound Of Wounds, Phantasm/Chimera, and For Mortal Things Unsung.